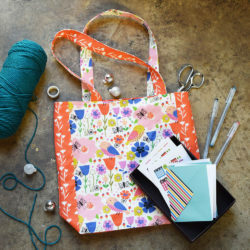 Win a Grainline Studio Pattern + Custom Fabric to Sew it up! Grainline Studio is a pattern shop featuring modern, fashion-forward patterns that fit seamlessly into your wardrobe. All of their patterns are drafted with a contemporary fit and they take extra care to provide clearly illustrated instructions that are easy to follow to ensure a professional finish. Today we are offering one lucky winner the chance to win a Moss Skirt pattern and custom printed fabric to sew it up! Jennifer Beeman, the creative vision behind Grainline Studio, used Spoonflower's Organic Cotton Sateen to stitch up a Moss Skirt and we couldn't be more excited about how lovely it looks! See how to enter after the jump. The Moss is a semi-fitted skirt that sits slightly below the natural waist and works up well in a variety of bottom weight fabrics. The skirt features a fly front and button closure as well as a yoke at the back. If mini isn't quite your style, add the hem band to create a longer silhouette or use the hem band to get a little fancy and use a contrasting fabric. Enter by Tuesday, November 19th, 2013 for a chance to win. We will announce the winner on the blog on Wednesday, November 20th. Liesbet Rombaut is the lucky winner of last week's Creature Camp + Fat Quarter Bundle giveaway– congrats! Announcing the Winner of a Custom Dahl NYC Dress! Yes! This is a wonderful give away!! I really like the fit of Jen’s patterns! Yay! Would love to win both of these prizes! Oh goodness, yes please! I’ve been thinking about trying this pattern for a while! 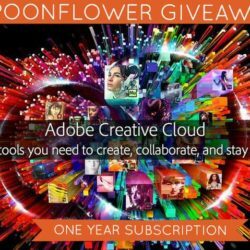 Wow this is a great giveaway! I’ve been wanting to make the Moss for a while, as well as try some Spoonflower fabric. Fingers crossed. I have long wanted the grainline Moss skirt, and this fabric is just lovely! Love grainline and love this print! I own a Grainline pattern or two but have yet to sew one up due to pregnancy. Ha. But I’d really love to win the Moss skirt!! Love the fabric too!! What a great giveaway. I’ve been wanting to try grainline patterns for a while. I really like all of the Moss minis I’ve seen out there. Grainline AND Spoonflower? Can it get any better? Match made in (sewing) heaven! What a great pattern, and offer! I would love to try out a Grainline pattern! And add some Spoonflower fabric — what a great give away! Here from Grainline’s blog – I actually already have the pattern but haven’t been brave nor had the time to try it out. Winning some fabric would force me to give it a try finally! Ooooh, what a great partnership — the only problem would be how to choose from so many many MANY great looking fabrics! Would love to try this pattern! I’ve been admiring from afar for a while now. Lovely Skirt. Thanks for hosting. Would love to win the skirt! Gorgeous fabric. I love dots! Would love to win. Love love love it! I’ve been wearing my grainline scout tee non stop since I made it and I would love to try out another pattern. The fabric is super cute too! I love her other patterns and would love to have this! Thx for the chance to win! Love grainline patterns they are so contemporary. Great fabric too. Polka dot is so cute on you, and maybe me! Great patterns and awesome print! Can anybody provide a link to this fabric design on Spoonflower? Yay! Very cool print and the moss skirt has been on my wish list for a while now, great give away! It’s a great skirt-I’d love to try it out especially with some spoonflower fabric. WANT!!!!! Can’t go wrong: polka dots + super cute pattern = AWESOMENESS!!!! Love this fabric for the Moss skirt. Would love to make my own!